Until we're rich enough to afford a personal assistant, grocery shopping is a weekly (or monthly) necessity for all of us, and sometimes it can be an annoying errand to have to run. Not being able to find the last item on your list and having to wait in a long line to check out can make shopping for groceries a hassle to say the least. So what's the trick to making this task less hectic and more pleasant? Technology has helped improve nearly every aspect of our lives, and grocery shopping is no exception. Many food chains have created their own apps to help shoppers discover if the store carries a certain product and what aisle it will be in, what other people think about certain items, and so much more. Along with keeping a digital grocery list, many apps even provide store coupons, which means a lot less rifling in your purse and a much faster checkout. If you're hoping to stick to a budget or save money, you should also check out third party apps like, for instance, Favado, which allows you to input your grocery list and compare prices of all your local stores, so you won't have to spend nights reading weekly ads. Meanwhile, Out of Milk will help you keep track of the groceries you regularly buy, so you don't get home and realize you forgot to pick up bread yet again. Even if you're only grabbing a few items, that doesn't guarantee a quick trip. 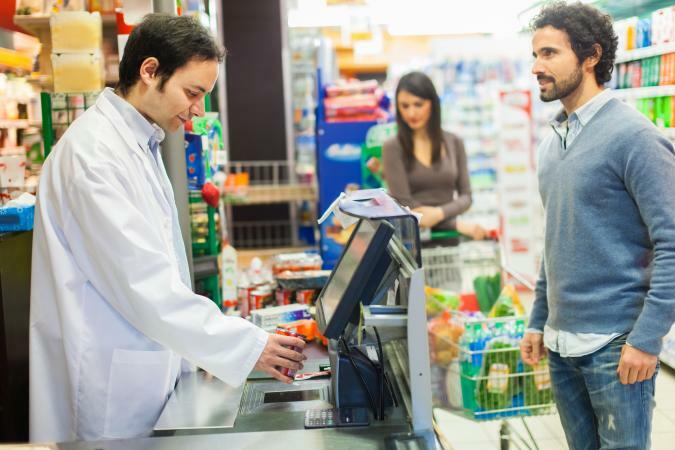 When it comes to efficient grocery shopping, it's all about picking the right checkout line. You might think that a line with more people but fewer items would be faster, but you'd be wrong. A recent New York Times article states that a line with one person but a full cart may actually be faster because checkout time increases per transaction more than per item. 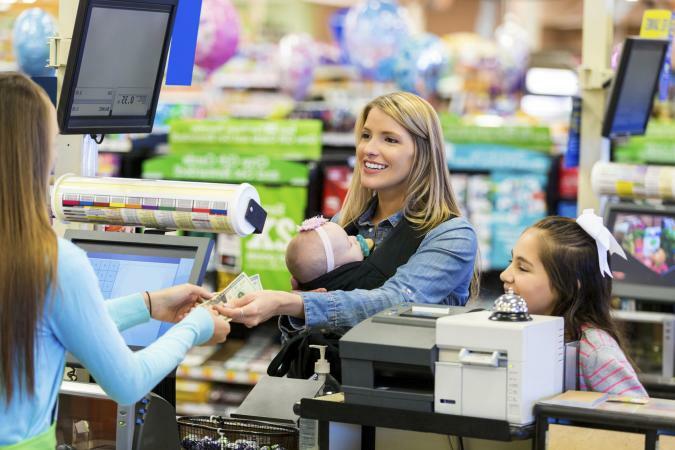 This means that the time it takes for the cashier to say hello, ring the items, deal with coupons, present the receipt and bag the items can all add up to a substantially longer wait. So, when deciding between Checkout Aisle 3 and 4, pay attention to the number of people in line, not the number of items in their carts. We've all had the frustrating experience of needing one last ingredient for the meal you want to make and realizing after combing the grocery store for an hour that they don't have it. However, instead of resigning yourself to driving to a Whole Foods across town, did you know that some chains take requests from customers? Granted, it probably won't mean that they'll have the item stocked overnight, but if it's an item you buy regularly, it might be worth taking the time for the convenience of not having to travel to multiple stores and not settling for similar options or lesser brands. Just look at your store's website to see if they take requests or ask for a manager when you're in the store and make your needs known. Likewise, if you don't see the cut of meat you want, you don't have to settle for better luck next time. Instead, walk on up to the butcher and ask for your selection. The butcher will usually be happy to create a new cut for you and stock up the display case for others. You'll be doing yourself and other customers a favor. Want another tip straight from a butcher's mouth? Don't assume that a family pack of say, burger patties, are cheaper than the regular size. Be sure to compare the price per pound before loading it into your cart. While some stores actually have a discounted section for food that's set to expire soon, if your market doesn't have this or if you happen to notice an item that's expiring the next day, you can ask for a markdown yourself, and many places will likely honor the request as you're saving them from having to throw away inventory. 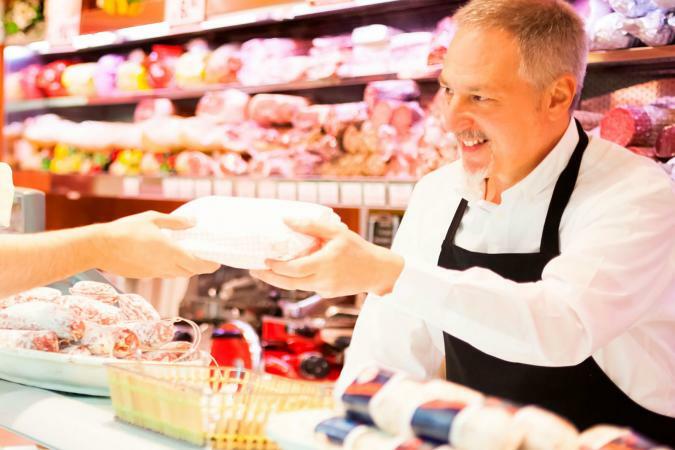 Obviously, if you're not planning to cook immediately, this won't work for your needs, but if you're looking to eat your purchases quickly, the discounted section was made for you and your wallet. It's a fact that our eyes are always bigger when we're hungry. 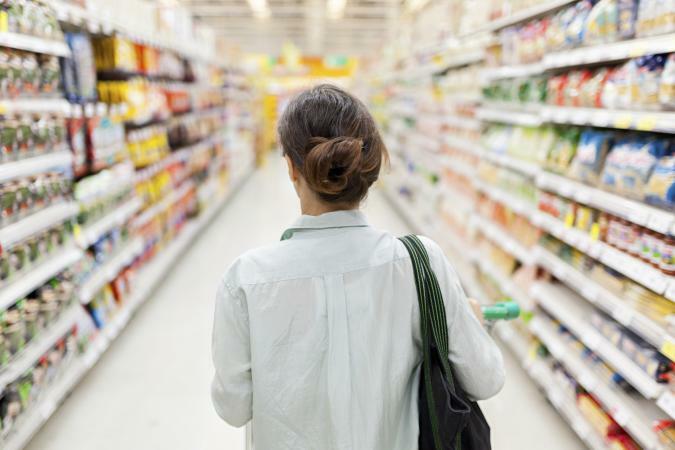 Scientific research confirms that shoppers are more likely to reach for high-calorie foods when their stomachs are rumbling at the grocery store. So, if you want to keep yourself thinking straight and your budget on track, shop just after a full meal. This will help you stick to your list of healthy options instead of veering off for guilty pleasures that your empty belly can't resist. According to a study in the Journal of Marketing Research, the strain of carrying a heavy basket around makes people more likely to throw "vice" items like Snickers bar or caffeinated sodas into them as a reward for the hassle of grocery shopping. Instead, it is recommended that you choose a small but wheeled cart to do your shopping with in order to keep your budget in control. If you choose a big empty cart, your brain and your stomach will naturally want to fill it. You see space in the cart, and you start adding items that aren't even on your list. A smaller cart means less space for extras. You'll stick to the exact list you made, and your budget (and stomach) will thank you. Did you know that the priciest products are at eye level? Business Insider reports that it is often the store's strategy to entice you to put the most expensive items in your cart. So don't just look forward. Make like you're a small child and peer up and crouch down for cheaper alternative brands and sales. That way, you'll make sure you're getting the best possible deal. A lot of stores have sales exclusive to cardholders, but that information is in the fine print of the sale ticket. Don't forget to look closely at bargain by number deals too. Most of the time, the buy in bulk 10 for $10 deals are just a trick. They want you to buy 10, but, in reality, if you only bought a couple, you'd still get the sale price. You don't want your pantry overflowing with food you won't eat just because you saw a "good" deal. Stick to what you need, otherwise in the end you're not really saving. Typically, stores have certain days where new shipments come in and the aisles are freshly stocked. Simply ask an employee their typical stocking days, and you'll be sure to have all your items in stock every time you shop. The days of empty shelves and no back stock will be far behind you. Grocery shopping may never be your favorite thing in the world, but it doesn't have to be a complete disaster. Following these hacks will help put some money back in your pocket and keep your sanity in check.